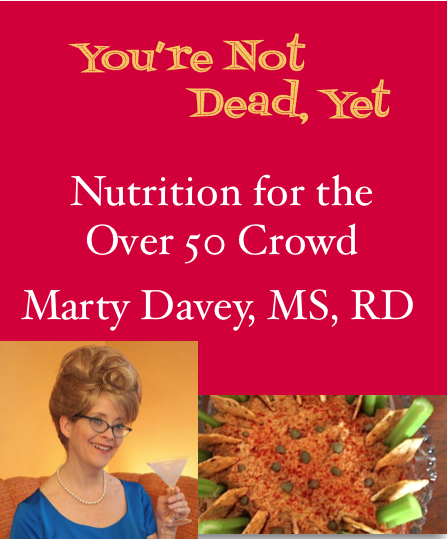 You're Not Dead, Yet: Nutrition for the Over 50 Crowd | LaDiva, Dietitian! ✓Hoping you make it to 50? Marty Davey, MS, RD, LDN takes a fun, yet scientific, look at nutrition needs as you age. Marty easily explains difficult diet concepts to those who successfully avoided all science classes after 3rd grade. She uses her own health and family stories to illustrate not only nutrition needs, but dealing with hospital stays and long term care. 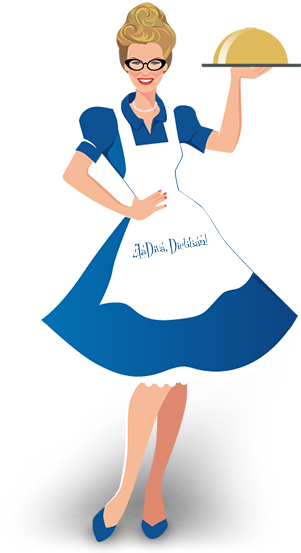 LaDiva Dietitian! gives you over 80 recipes and video links to move from concept to casserole. PLUS there are basic cooking and shopping videos for kitchen newbies, AND basic equipment and pantry info as well as a menu to help you get started on your next chapter in health!